Own one of the worldwide distributed Special Limited Pressing (and first 1000 albums are signed and numbered by Lyn) copies of the SuperSonicVinyl ™(SSV) ONE-Step Special Limited Edition pressing of The Moonlight Sessions-Volume One-album. Shipping not included for international customers (billed separately). 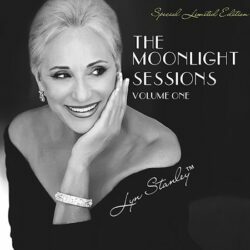 It is anticipated this album, The Moonlight Sessions Volume One was released May 30, 2017. This album is a double 12 inch disc album, 180gram, 45RPM. It comes in a sturdy gatefold jacket, with insert. The final quantity of this Special Limited Edition pressing is approximately 2000 units (100 units were Beta Pressings). Musicians for The Moonlight Sessions Project recorded in February 2017 are: Lyn Stanley (all vocals), Mike Garson (piano), Tamir Hendelman (piano), Christian Jacob (piano), Chuck Berghofer (bass), Joe La Barbara (drums), Ray Brinker (drums), Bernie Dresel (drums), John Chiodini (guitar), Corky Hale (harp), Carol Robbins (harp), Hendrik Meurkens (harmonica & finger snaps), Luis Conte (percussion), Chuck Findley (trumpet), Rickey Woodard (tenor sax), Bob McChesney (trombone). Players are different based on songs in the project. Volume Two is enriched with The Budapest Scoring Symphonic Orchestra with 30 string musicians added to selected songs. 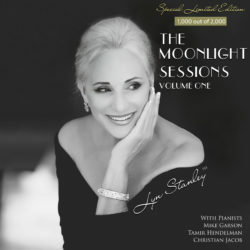 The Songs in The Moonlight Sessions Project include: Embraceable You, Since I Fell For You, Willow Weep For Me, How Insensitive (Version A and Version B), Over The Rainbow, The Very Thought Of You, Moonlight Serenade, All Or Nothing At All, The Summer Knows, Girl Talk, Angel Eyes, Close Your Eyes, Break It To Me Gently, That Old Feeling, At Seventeen, My Funny Valentine, You’ve Changed, Crazy, How Deep Is The Ocean, Makin’ Whoopee, Why Don’t You Do Right?, Smile, Wee Small Hours, I’ll Be Seeing You. RECORDING ENGINEERS: Al Schmitt and Steve Genewick (Volume One and Two; MIXING ENGINEERS: Michael Bishop (Volume One) and Al Schmitt (Volume Two) MASTERING ENGINEER: Bernie Grundman (Volume One and Two). Lyn Stanley’s SuperSonicVinyl™ is a superior quality vinyl and recording techniques, from top engineers and studio boards, and combined with top rated master engineering and ONE-Step experienced pressing plants to create what we believe is the ultimate in sounding records. For more information about how to become an exclusive member of the Lyn Stanley Society and become part of the inner circle of Lyn’s supporters and share special privileges and experiences exclusive to the Society. Click here for details. 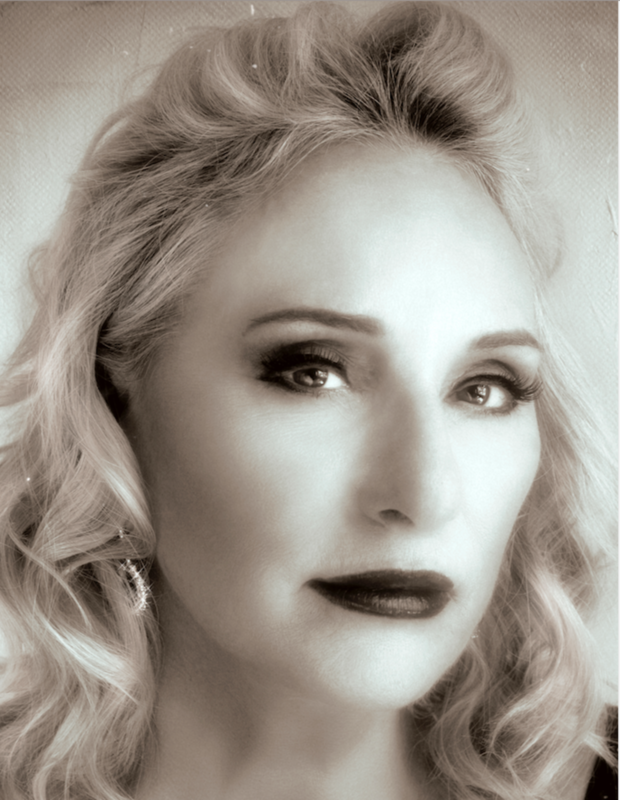 [box type=”shadow”]”Lyn Stanley has an absolutely gorgeous voice. But a beautiful voice isn’t much without a style.